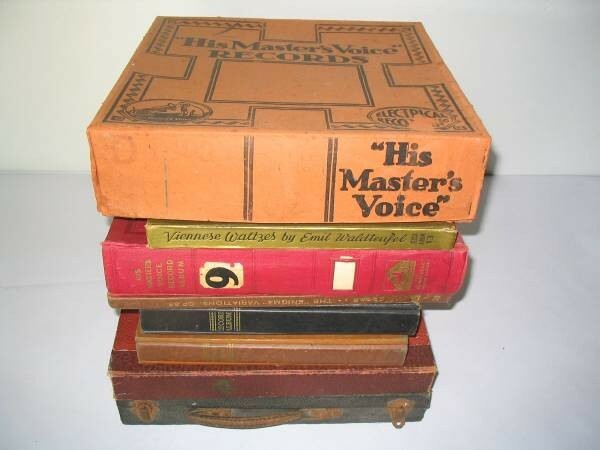 Mabu Vinyl’s Book Sale – Now On!!! This acclaimed young South African fingerstyle guitarist, who won last year’s ‘Best Instrumental Album’ award at the 2010 South African Music Awards for his album “Fox Hill Lane”, will hand-number and personalize each of the 300 available Limited Edition LP copies sold. This 10 track album, pressed in Holland on 180 gram virgin vinyl, includes a free coupon insert for a full MP3 download and is a beautifully packaged B-sides successor to “Fox Hill Lane”, comprising an exclusive collection of out-takes, remakes, live recordings and demo’s. 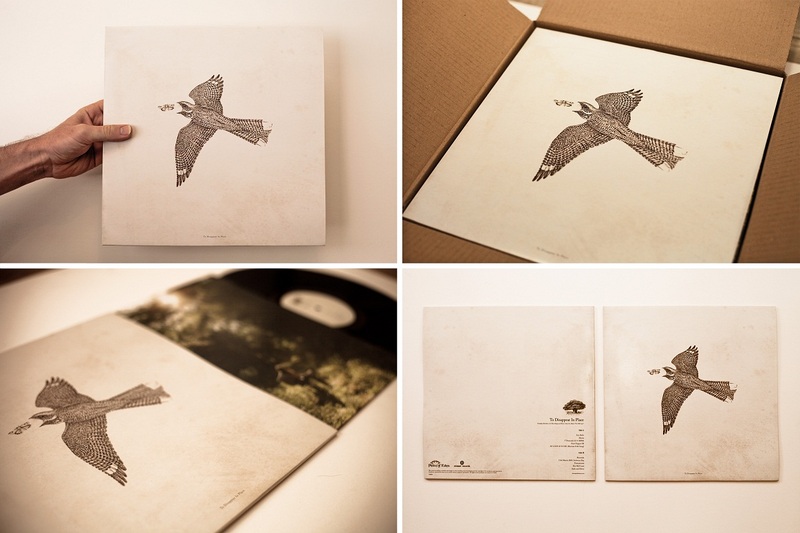 Numbered copies of Guy Buttery’s ‘To Disappear in Place’ Vinyl Album are now available at Mabu Vinyl for R290. 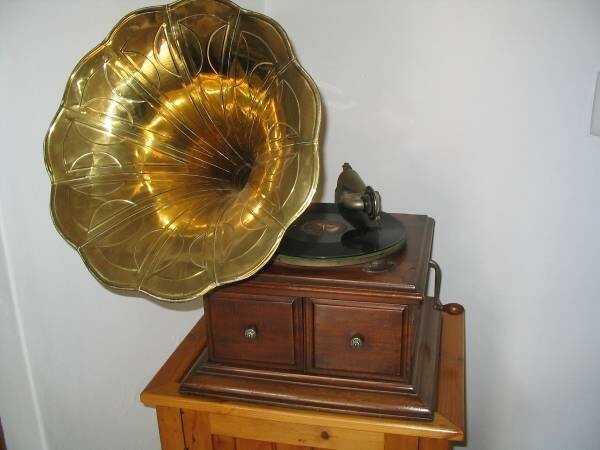 The first commercially available vinyl record was released in the 1930s … and it bombed. There were a couple of reasons for this, not least was that it was released in depression-era America and another was that the technology to record sound was far more advanced than the technology needed to listen to it (which was rare and expensive). 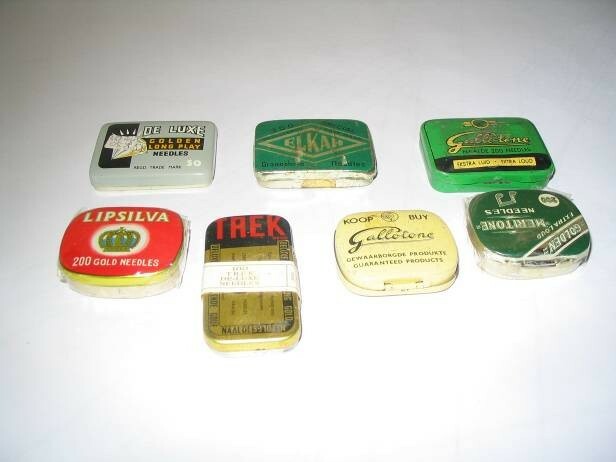 Plus, radio was on the rise and the medium provided hours of free fun. 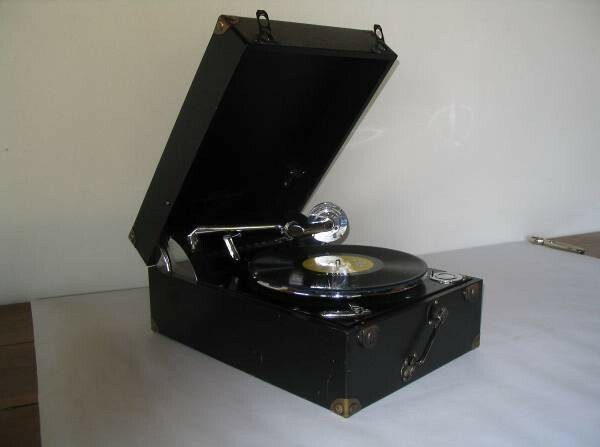 By the 1940s, however, vinyl records had become so reliable, portable and affordable that a whole new kind of entertainer had emerged ­– the mobile DJ. And these days, even with technology having advanced to the degree that we can store thousands of songs on devices smaller than our thumbs and take our music anywhere with us, DJs are sticking to the tried-and-tested formula of vinyl. Imagine being in a club – strobe lights, thumping beats and all – without the visual effect of a DJ, his two turntables and a microphone (Beck even sings about it on his track ‘Where It’s At’). For scratching, live mixing and performance value, vinyl is the way to go. As for the acoustic element, despite the quality afforded by CDs and MP3s, the vinyl sound is truer to the original recorded sound or the sound of live music. Myles McDonald, music producer at Hey Papa Legend sound studios in Cape Town, says: ‘MP3s offer almost a “wall” of sound rather than a sound that has ambience, depth and texture. Vinyl recordings have far more depth, and nuances that make them unique. Each time a sound is compressed from vinyl to CD and then to MP3, details are lost.’ For an excellent example of this visit www.youtube.com/watch?v=761RFIFxD0I to hear the difference between an original Beatles recording on vinyl and a digitally remastered MP3 version. So while CD sales are plummeting, vinyl sales are rising. Yes, CD sales may be down because MP3s are so readily and cheaply available on the Internet, but that doesn’t account for the increase in vinyl sales. According the article ‘Vinyl Gets it’s Groove Back’, written for Time magazine by Kristina Dell, ‘990 000 vinyl albums were sold in 2007 [in the US], up 15.4% from the 858 000 units bought in 2006.’ And this doesn’t account for sales in independent and thrift stores, which form the focal points for most vinyl interest. Stephen confirms that he has noticed an increase in vinyl sales and interest, especially in the younger generation. ‘The DJ section used to pull the big sales, but that is shrinking now and the old-school stuff is taking over,’ he says. People want vintage, and vinyl fits in snugly with just between their second-hand bowling shoes and old-school Ray-Bans. Whether you collect them for the sound, the cover artwork or the sense of nostalgia it evokes, vinyl has outlasted any the CD and may even outlast the MP3, with recording artists like The Raconteurs and even Madonna releasing their latest efforts on vinyl, making the medium more than just a trend. Visit Mabu Vinyl at 2 Rheede Street, Gardens, Cape Town (021 423 7635). Just remember, there is one rule and one rule only in this store: no musical bigotry. If you love ABBA, love them boldly because these guys don’t judge. Ask Stephen or Landi Degenar for help too, because there are no computers to help you search – it’s all catalogued in their heads. 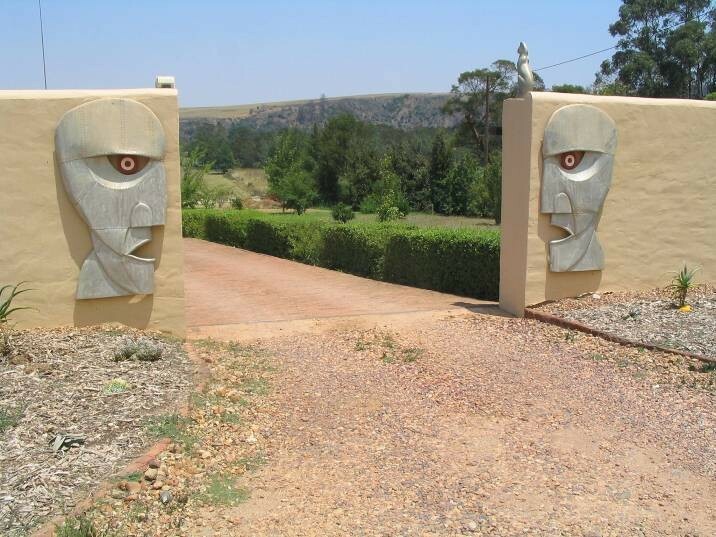 They’ve also got a storeroom filled with rare and collectable records and their website http://mabuvinyl.co.za/ will direct you to their Bid Or Buy site. Flea markets are treasure troves for finding some of your favourite vinyl. 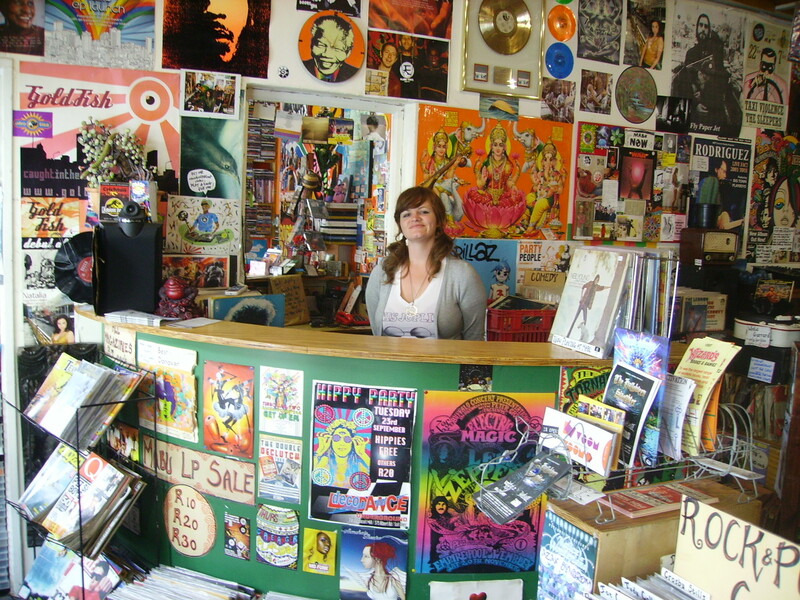 The easiest way to locate rare vinyl records is online through www.buyvinyls.com. Fact file: While vinyl records play from the outside in, the secret tracks hidden on some albums will play from the inside out. 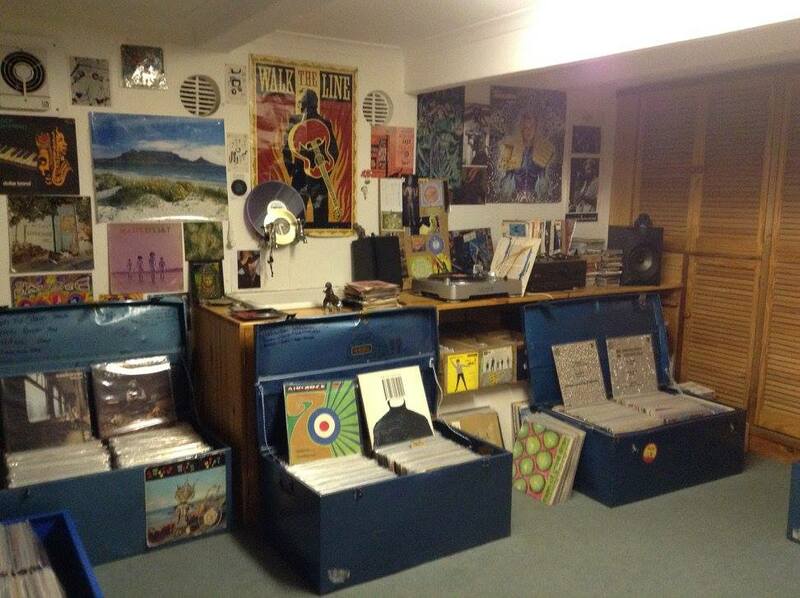 Mabu Vinyl has opened another two-roomed basement shop in a house in Oranjezicht where we keep all our more valuable and collectable records in a series of Blue Trommels, hence the name…. In the Blue Trommels are a wide selection of international and SA pressings that we sell on eBay, and to private buyers and collectors from all over the world who visit the basement. We have plenty of LPs, 10″ albums, 7″ singles, 12″ maxis, and rare CDs in stock in the Blue Trommel Basement and customers are welcome to visit, but by appointment only. While Mabu Vinyl’s well-known shop in Rheede Street will always be filled to the rafters with lots of great records, CDs, DVDs, books, cassettes and other cool stuff, the Blue Trommel Basement is mainly for those vinyl customers and collectors looking for the more collectable and rare and expensive records. Please contact Jacques or Stephen to arrange a time to visit the Blue Trommel Basement. 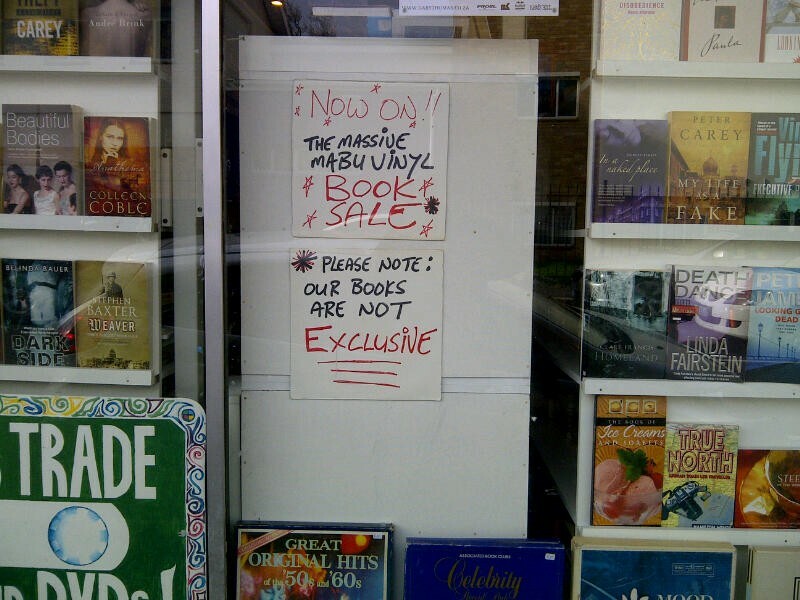 The Mabu Sale Is Over….And Record Store Day Approaches…! But we sold a lot of stuff to make room for all our new stock, so come on in and see all our new LPs, CDs and DVDs. And, don’t forget, Saturday 16th April is Record Store Day!! So visit your local record store and buy a record, you know it makes sense! 1 Jan 2011 – Happy New Year..! There was a huge New Years party at the commune next door last night, and it went on till early this morning. The house got sold recently so the young crowd who live together there decided to throw one last big bash, and they did, cool for them.. But now its early morning in Cape Town, New Years day 2011, and the wind that has been terrorising the city for about a week now has stopped, and has been replaced by a moody overcast sky and some light rain to dampen down and sooth all those hard-partied bodies. Mabu Vinyl is closed today in honour of the New Year and to allow the staff to recover. 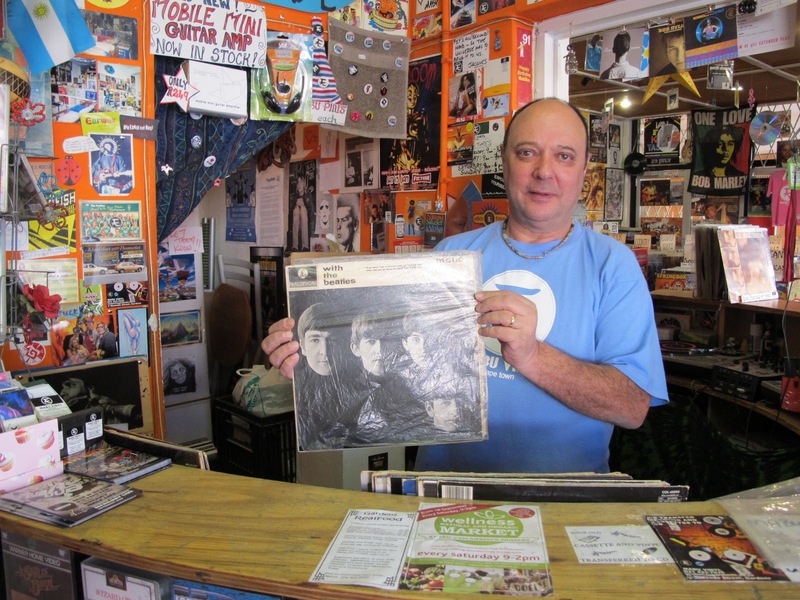 So, as I begin my first blog of the year, which will focus on the realities and many joys of running a record shop in Cape Town in this century, its a good time to pause and reflect on the simple fact that we have a well-supported record shop, here in 2011. We do still stock CDs, that rapidly fading musical technology that was supposed to sound the death knell for LPs. All those LPs that now occupy the large portion of our shop in their proud boxes with their hand-written name tags. Those full CD shelves that most people now walk right past to see the Record section, some thrilled to find so many records available for sale, some excited to see and remember and show their kids what a real old school record shop used to look like back in the 60s, 70s and 80s. But we are not a museum we tell those people who come in and ask us, in all seriousness, if people still buy records. We are a functioning record shop that sells The Beatles and the Stones and Miles Davis and Bob Marley and Fleetwood Macs Rumours and Dark Side Of The Moon, and any Hendrix or Doors or Elvis or Smiths or Joy Division or Tom Waits vinyls that we get. And we only get stock from people who bring in their boxes of old vinyls to sell to us, or to trade for other stuff in the shop, like books or CDs or DVDs. Its all second hand, so the universe has to bring it to us. So, the current stock in Mabu Vinyl is simply what people have brought in, minus what people have bought, and whatever is left is what we have. We cant order old records, we can just look out for them in the boxes that come in, and they do come in, all the time, and we never know what we are going to get next. But what we get is what we have. So working at Mabu, if you love music and records and CDS and books and movies and hanging out with other people who also like those things, will constantly bring you into contact with all kinds of stuff that comes in as well as all types of interesting and strange customers and other people who come in all the time with their requests and questions and opinions and tastes. Thats how it is with music and music shops and music fans, its like a strange cult that those in it dont have to explain, but those who arent, find it kind of quaint, but, those who are in it know the thrill of finding that special vinyl, in good condition, or just the thrill of going through a batch of R10 record and finding a gem. Heres how it works. You go to a party and youre sitting with a group of people and they start talking about what they do. And then you tell people that you have a record shop. And you find that people really connect to that, to the fact that such a thing still exists, and runs. And that conversation always stirs up a host of memories and emotions for anyone participating your first record player, your pile of records, your dad bringing home the new Beatles record and hearing it for the first time, remembering records that soundtrack a special time in your life, the records your parents used to play. Lawyers and accountants and even doctors dont get that kind of reaction when they tell people what they do. But music still touches people very deeply. So, these days we are fortunate to get to spend our days in a record shop, in Cape Town, and every day we get to experience all kinds of stuff like interesting customers, new batches of records, strange requests, and lots of other things that happen in and around Mabu Vinyl, and Im going to tell you about some of that. We are in Rheede Street in Gardens, just off Kloof Street, and still, Just a muffins throw away from the Vide e Café. Have a great 2011 and please come and visit! 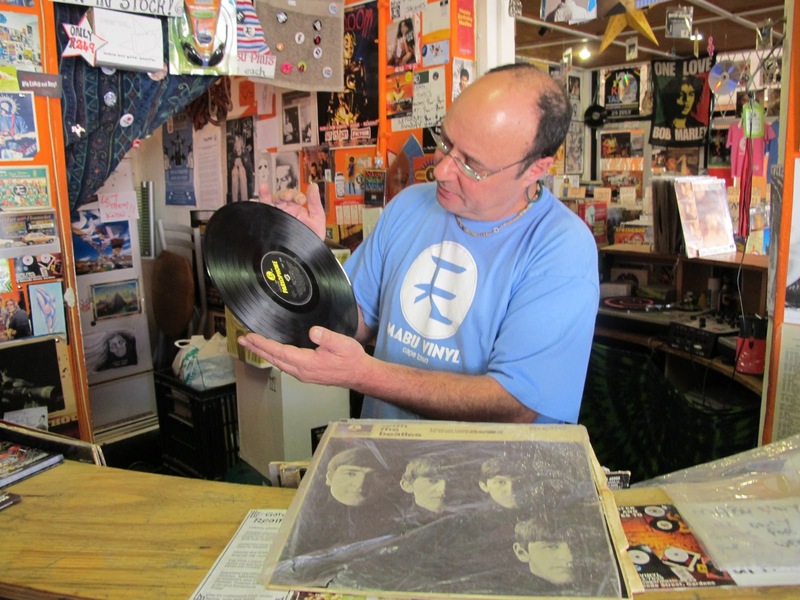 I may be from Liverpool but I never did get to see the Beatles at any time but I have met up with Stephen of Mabu Vinyl,the used record shop in Rheede Street in Cape Town.I had told him of some of my original albums bought in Nems,Liverpool,thats about 45 years back now,I still have them,this Beatles album is still in good condition Stephen told me but looks to have been played more on one side than the other? stephen casts an expert eye on my Beatles record,it seems I have looked after it quite well all these years,bought for thirty two and six shillings around 1965,its worth more now? The plastic sleeve dust cover says Given free by Nems,its a relic of the days when queues would line the streets outside Nems in Liverpool every time the Beatles brought out a new album.Inside the shop three cash registers were hamering away with piles of records alongside slowly being reduced as we each bought a copy. Note Mabu Vinyl buys used records and cds if you have any your wanting to trade take them to Stephen.